We lived very peacefully in our tiny house for nearly 4 years before things got a shake up! Of course life still happens (and kids can be hard!) but it’s felt nothing short of ‘dreamy’, most of the time, honestly. We’ve built a second micro home build for the road! 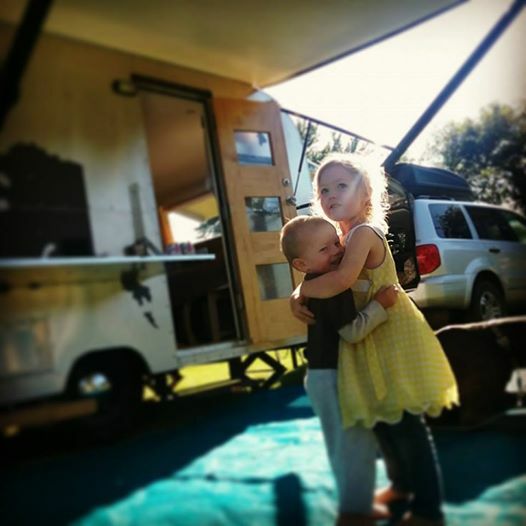 We helped passed the IRC Tiny House Appendix and got it adopted in Idaho! But… we still got reported last year and ultimately aren’t allowed to live in our chosen home that we’ve worked so hard for. There is no sugar coating it. I can’t fault anyone. Honestly, most of the people in charge of enforcing these rules are very empathetic to our situation. They have helped guide me through the process of finding a legal path for tiny homes. They have been great advocates! The fact is though… after 4 years in the tiny house, having accomplished all I had hoped to and so much more, moving on is the easy choice. In reality the kids are growing. The dog is getting old. We have stockpiled some money, we can afford to lay down a down payment on something… Frankly, the paper trail seems so daunting and overwhelming and I am at a point where I really like turning my attention on those cute kids of mine and focusing in on teaching them things and giving them experiences. I know a house is just a thing but I think the saddest thing that I could do with our home is sell it. The thought of someone else living in it, being mad in it, enjoying it differently, I took that off the table. Disassembling it piece by piece (seems like the final step of learning, seeing how well everything held up). I could reuse the pieces in other projects. I’ve considered donating it to someone in need (it seems like more of a liability than an asset though, they may be asked to move as well (since zoning is tricky still) and will likely not have the means to make that happen. I’ve considered raffling it for a good cause (wouldn’t make me feel any better then selling it). My favorite idea so far, donate it to the RV Hall of Fame to live on and teach others. Technically it is an RV. It does embody the spirit of the tiny house crazy of DIY your own home ‘on wheels’. They didn’t seem too thrilled at the idea (yes, I did contact them). So what do we do? What is our next step? Do we just say we did as much as we could and then walk away? And how do we walk away? I think James and I have reached a conclusion. Sort of. Heck no, we’re not walking away! We still don’t know what the path ahead looks like but we are not going to let the momentum go away. Fact is we don’t WANT to go back to any standard life. We may want a new home, maybe three (we’ve got some weird ideas kicking around!). We want to give our kids experiences and teach them lessons? Guess what, the best way kids learn is by example. We will be teaching them how to change the world, one conversation at a time (and yes, they go to most/all of our tiny house meetings). We like traveling, we have yet to find a place we don’t like. MOST are WAY cheaper than Boise (we check Zillow way too often). The tiny house currently sits on an empty lot in Boise. We (James) always planned on building something on that lot. We could buy one of these cheaper lots somewhere in the boonies, a pretty boonies preferably. My tiny house as it is built is just too big to accommodate the siting requirements of our particular lot (getting off easements, staying on property boundaries, allowing space enough to build a permanent structure, etc.). I have now swallowed the fact that I will most likely have to move the house (that was a long and hard pill to swallow, it’s a daunting idea!). We need to find a property to move the house to. In my head I am targeting somewhere in Montana, Idaho or Oregon, something not to far but pretty enough we would want to visit often and big bonus points if it was somewhere that made Airbnb feasible. (so the looking begins there). With the house gone, we could get building a house on that lot to be another rental house. WITH that house, we can keep up the momentum we have to figure out a way to incorporate a tiny house pad for a back yard ADU situation. (We would do JUST a tiny house pad but I don’t think the rental income would make stubbing utilities feasible with just the tiny house, we’d need more income to make it pencil out) We could have a spot for a tiny house to legally live for someone else. Since it is being designed FOR this we can make it feel private and separate from the main house. That would be a big precedent being set. We could work together with the city to draft up the zoning codes and regulations that go with it, something that could be repeated. This could be beneficial in a lot of ways, it’s a clear slate so we aren’t asking to fit zoning around ‘our house’. We can engage neighbors, get good feedback and get a real example to be replicated. We can approach this from the standpoint of a land owner rather than a tiny house dweller. This will make it much easier to relate to neighbors at neighborhood meetings (unavoidable to write new ordinances). At a point, a renter will make an appearance. Their tiny house would have to meet IRC codes (achievable! ), it would have to fit in whatever zoning restrictions are/become present (achievable!) and they would have to hook up to utilities (that would be present because it is a tiny house pad). We, as the land owner would have paid all the use permits and fees to be legal. The home would have to prove compliance with IRC via inspection (this is unknown to me because no systems are in place currently). I am full well aware that we may not find a perfect renter willing to jump through all the hoops to meet these requirements and further, Boise City may require that we live in one of the houses (one of their loosely enforced rules of an ADU). James and I are talking about how fun it would be to have a couple home bases. We would be up for building a new tiny house. A smaller one (probably about 20′) to sit on the lot if a renter doesn’t come forward for the case study. We could live in it part of the year, perhaps rent it out while we aren’t there. Perhaps take it with us while we aren’t there. Perhaps it just sits put while we aren’t there… We are up for playing land owner and tenant in this particular case. We are in the position that we could make it happen. How this all plays in with the kiddos and their schooling is TBD. We will have to cross those bridges when we get there. I’m not feeling that our best option is to abandon all the work we have done in the tiny house community anymore though. I feel like we have some good options, so that’s good! All this sounds wonderful to me! As in better than the original plan to just leave the house where it is. Change is hard when it’s foisted upon you, but wow, sometimes really interesting doors get opened in the process. Can’t wait to see what you choose next! An ADU is an accessory dwelling unit. I’m sorry to hear that your dream got short-circuited, but it sounds like you’ll move past this in a way that is both positive and constructive, so good for you! My husband and I are planning to retire into a tiny house in such a way that like minded people can join us with their tiny dreams. I wish you the best of luck in whatever you guys end up doing. The info that you’ve provided is invaluable. Thank you! I just don’t think I am capable of selling my home, it’s my hearts work! Thank you very much Debra! We are hoping to be back in it before too long, somehow! I thought I left a comment already, but it looks like it failed to launch. So if this is a repeat, please delete. Have you considered doing an Air B&B? This is the first post I’ve read on your blog, so I’m not real clear on why you’re not allowed your home, but if you put it on a pad, there would probably be lots of people who would love to try on a tiny house for a few days or a week, or so. If you’re not around, you could probably hire someone local to do the maintenance and check-ins/outs. We have a young neighbor, college aged kid, who watches our house for us when we’re out having fun in our Roadtrek van(we’re seniors). That was actually our plan while we were out on the road but until the building meets safety codes (IRC) no one is allowed to ‘dwell’ in it, even short term. Plenty of folks do it, I have always kept a pretty high profile though so risking doing something that would make me extra liable isn’t appealing. I may do that at some point when we are done wanting to live tiny.